The Somerset festival has revealed when you can buy tickets again this year. 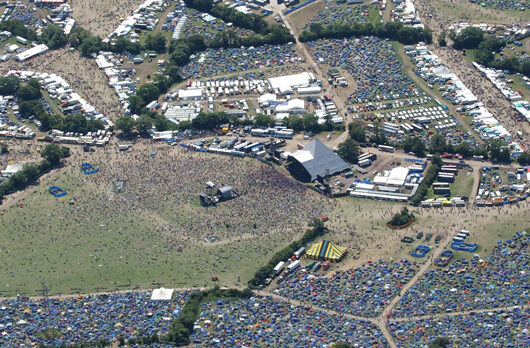 Glastonbury has revealed when its 2016 tickets will go on resale. The festival announced today (Friday 8 April) that returned and cancelled coach package tickets will be re-sold on Thursday 14 February from 6pm, while general sale tickets will be available on Sunday 17 April from 9am. Radio X previously predicted the possible dates for resale, and its fair to say we were 100% right. April is nearly here, and Glastonbury released their first official line-up poster this week, which means it's almost time for their tickets to go on resale. With all allocated passes selling out rapidly back in October, music fans are readying themselves for a second stab at securing the Somerset festival's coveted cancelled tickets. Since Glasto stated that current ticket holders have from 1-7 April to pay their balance in full, most people have twigged that the resales must take place in the weeks following. However, thanks to the official Glastonbury website, we think we've (possibly) narrowed it down to the EXACT days. General resale tickets for Glastonbury usually go on sale on a Sunday at 9am, with "coach package" tickets being released a few days before on the Thursday. General tickets went up for resale on Sunday 17 April in 2011, then after the 2012 break were sold on Sunday 21 April in 2013, Sunday 27 April in 2014, and Sunday 19 April in 2015. Over the last four active years of the festival, the resale of general tickets were scheduled thrice on the penultimate Sunday of the month and once on the final Sunday of the month. So, if we follow the pattern, this year's general resale dates should fall on either Sunday 17 or 24 April at 9am this year, with coach packages going on the previous Thursdays. Now, we definitely can't confirm this is the case... but it's a pretty solid theory, right? In fact, our best guess is that tickets will be released on the 17th... but we wouldn't want you to hold us to that.